this should have been posted a while ago but somehow i let this one slip through my fingers. at any rate, for the family christmas dinner, everyone brings something. i took a different route this year and made ina garten’s scalloped tomatoes from her new book “How Easy Is That?” something fresh to stand out of the cheese and carb loaded dishes. yes, it would be better in the summer but a little summer in winter never hurt anyone. heat 3 tablespoons of olive oil in a large saute pan over medium heat. add the bread cubes and stir to coat with the oil. cook over medium to medium-high heat for 5 minutes, stirring often, until the cubes are evenly browned. 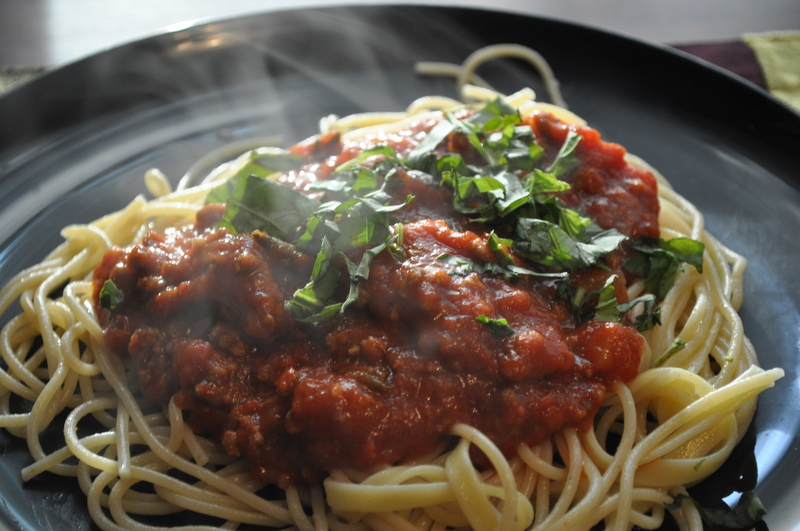 the dish was simple and a lot of reviews said that is super easy to make ahead. it was a hit at christmas dinner. i will be making this in the summer with a few tweaks. overall, yum! 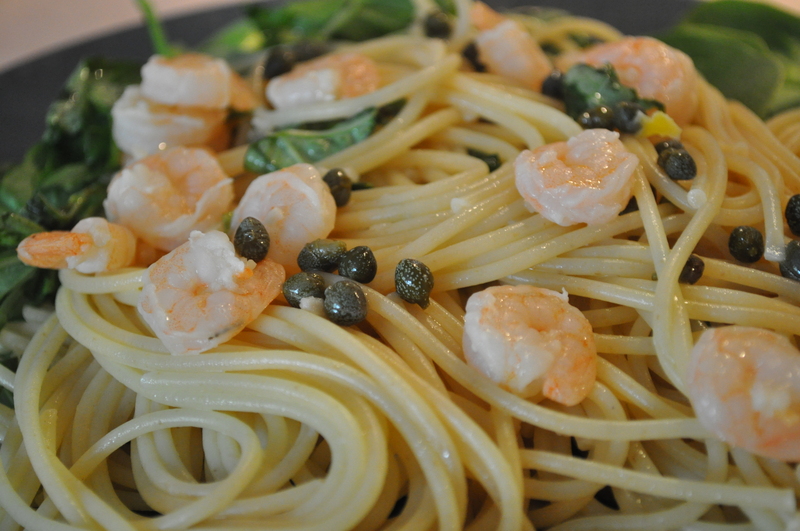 this is another recipe that is simple and so yummy (and perfect for a weeknight dinner). i don’t remember where exactly i found this recipe but man it’s GOOD. preheat oven to 350. in a zip lock bag, toss in the chicken breasts and dressing. let the chicken marinade for at least 10 minutes in the fridge. place chicken in a baking dish and bake for 15 minutes. discard the extra dressing and bag. 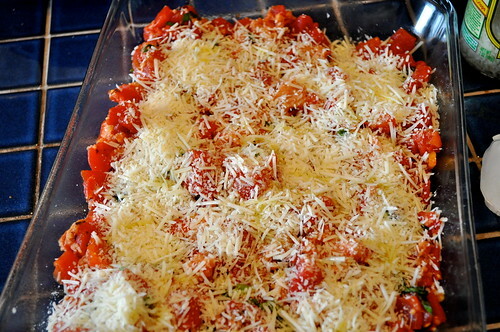 combine the diced tomatoes, fresh basil and mozzarella in a bowl. 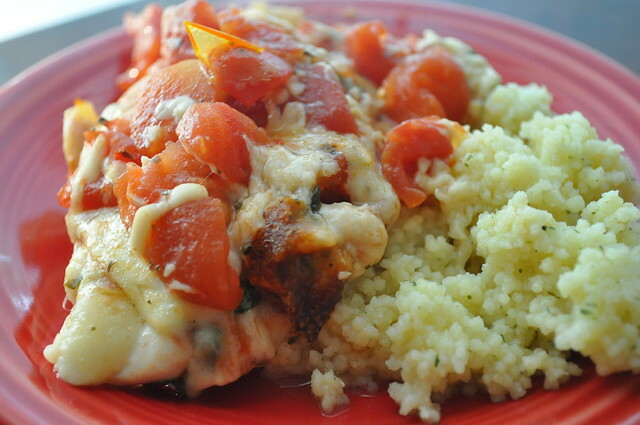 after the 15 minutes, flip the chicken and top the chicken with the tomato/basil/cheese mixture. bake for another 15 minutes. yes. it really is that simple. i served it up with a side of cous cous, which we all know is so simple to make as well. the dish just looks amazing (and tastes amazing) and requires little effort. i like that 🙂 yum! 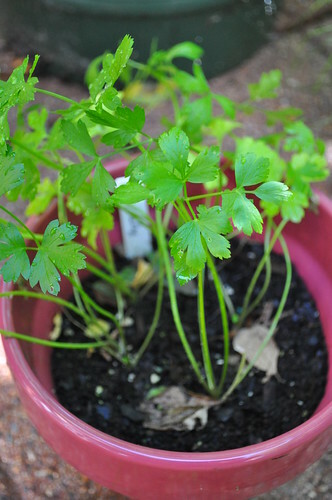 i’ve been using basil and parsley more than normal and i’m pretty sure i will keep using it through out the summer. 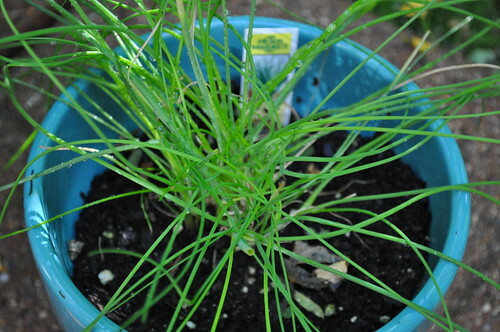 it can get expensive buying it at the grocery store so having my own plants would prove to be cost worthy and a good way to exercise my green thumb. brad and i took a drive up to Leicher’s Farms in Chicora, PA a few Sundays ago. it’s about an hour from the city but it was an enjoyable hour. being able to get out of the city and into the country has a calming effect and is a de-stresser. at least for me. and getting some fresh country air is good for anyone. the farm is tucked away on a bendy road but don’t let that fool you. it has a great shop and a good amount of things to pick from if you’re looking for vegetables, fruits, herbs, flowers and smoked meats amongst other things. 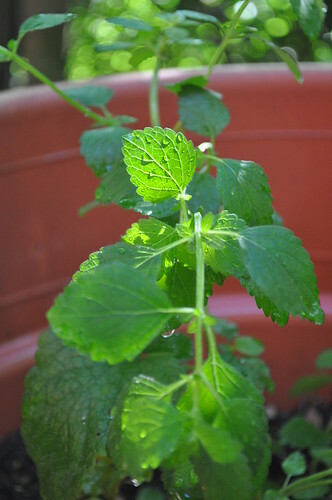 Barry Leicher was a delight to meet and was a big help when i was selecting my herbs. i ended up getting basil, chives and flat leaf parsley for starters. i think this might be our go-to farm when we need a short getaway from the craziness of life in the city. 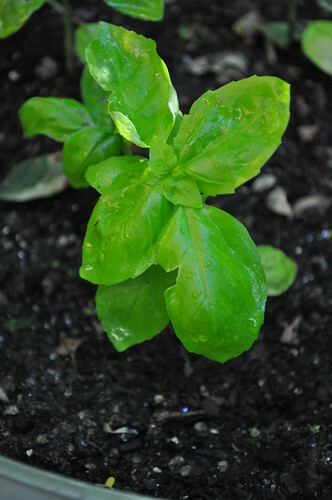 i’m excited to watch my little guys grow like crazy and incorporate them into my summer dishes. remember – buy local and support your farmers! but what an interesting herb it is! i don’t think my recipes are over loaded with butter and things but i find it OK to use them and enjoy something sinfully delicious every once in a while. tonight isn’t one of those nights but why should i skimp on flavor? i found this on sparkpeople.com and saw that it had great reviews. people loved this recipe so i thought to give it a whirl. i trust others opinions! in a large skillet, brown beef with onions and garlic and drain. 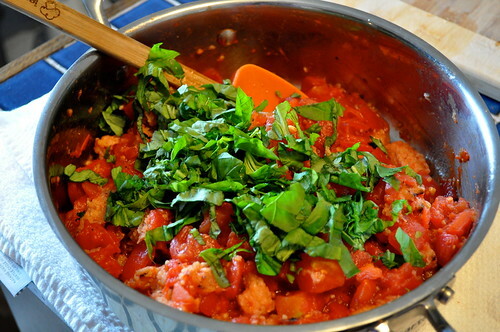 add tomatoes, water, tomato sauce, parsley, basil, oregano, and salt and tir in uncooked pasta. bring to a boil, stirring occasionally. 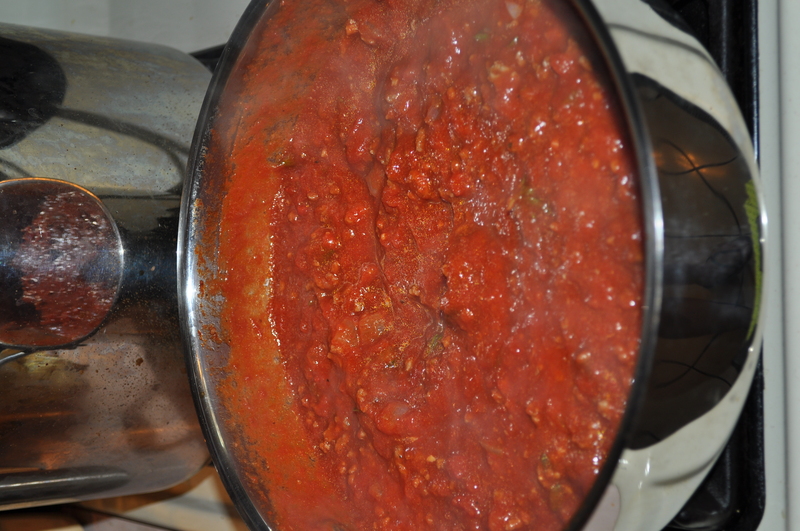 reduce heat, cover and simmer for 20 minutes or until pasta is tender. combine ricotta and parmesan cheeses and mix in the egg. 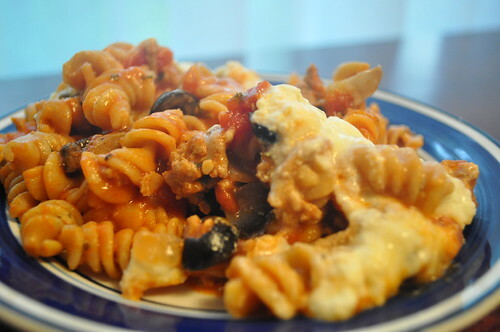 drop cheese mixture by rounded tablespoons onto pasta mixture. cover and cook for 5 minutes more. sprinkle with shredded mozzarella and serve. i was very impressed with this dish. it was so simple! perfect for a week night meal. i had some olives and mushrooms left over from a previous night so i tossed them in when i added the tomatoes. i highly recommend making this recipe if you want something filling, tasty and not time consuming. yum and YUM!